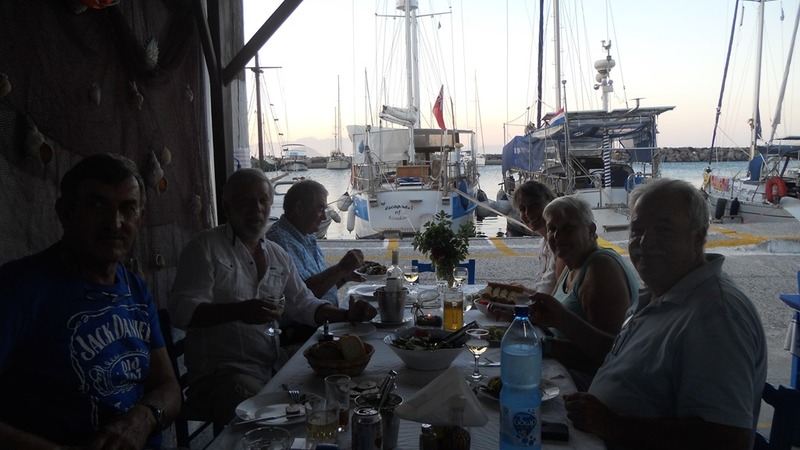 We left Kos marina on 10th June for our sailing season. 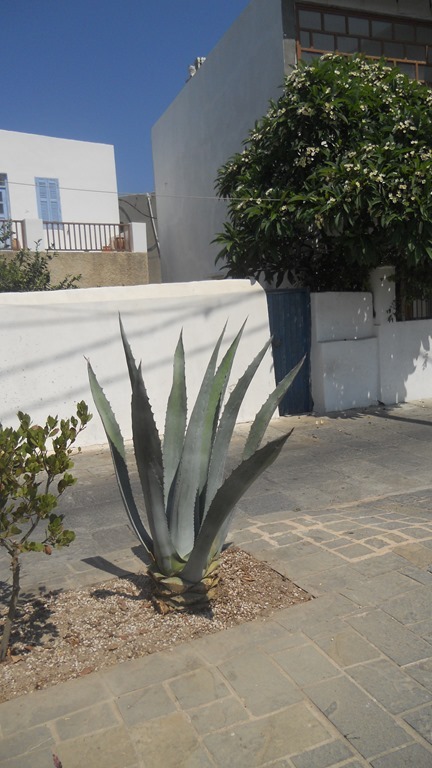 We knew that it would be a short one this year as we have to be in France by 31st August to complete the purchase of our house. It was, nevertheless, an eventful one. After motoring in fairly choppy seas and with the usual head wind we soon moored in Pali harbour. We had reached our favourite island and were delighted to see all our old friends. With no idea of how long we would stay Caryn quickly settled into the routine of beach, swim and eating whilst Svein was called upon to repair various items by different people. This kept him very busy. It was a good way to start our holiday. We did, however, experience some strong winds in the harbour that managed to puncture our dinghy which was at the back of the boat. 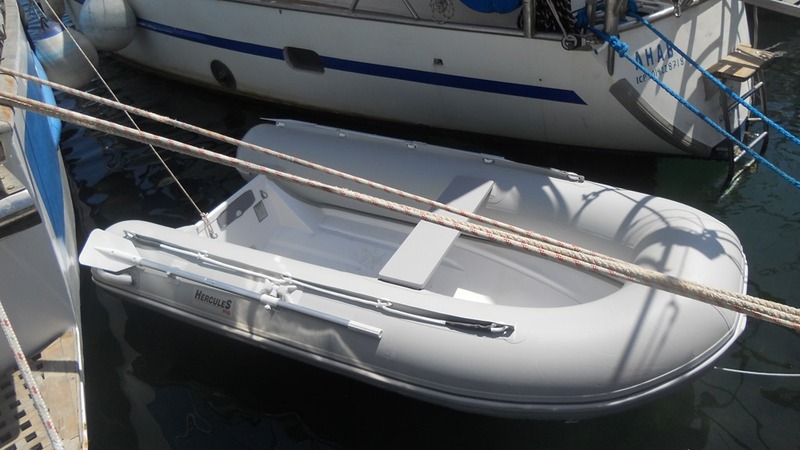 As it was not possible to repair Svein took the local ferry across to Kos and bought a new smaller dinghy from the chandler in the marina. 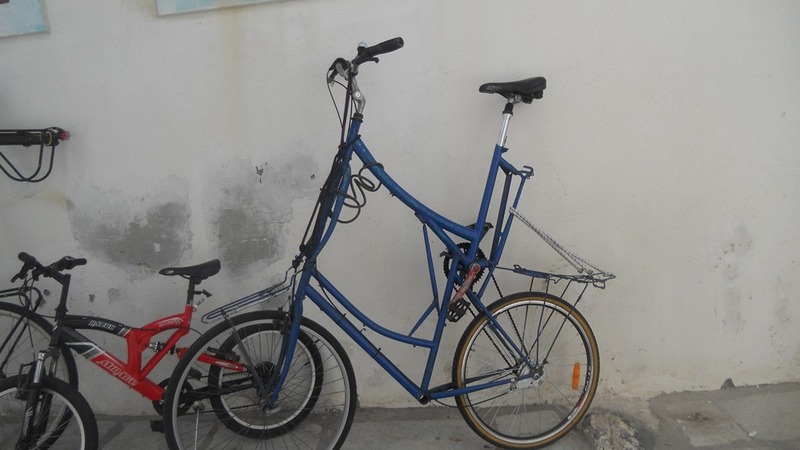 Coming from Athens it duly arrived in Kos and was shipped to us in Pali via the local ferry. 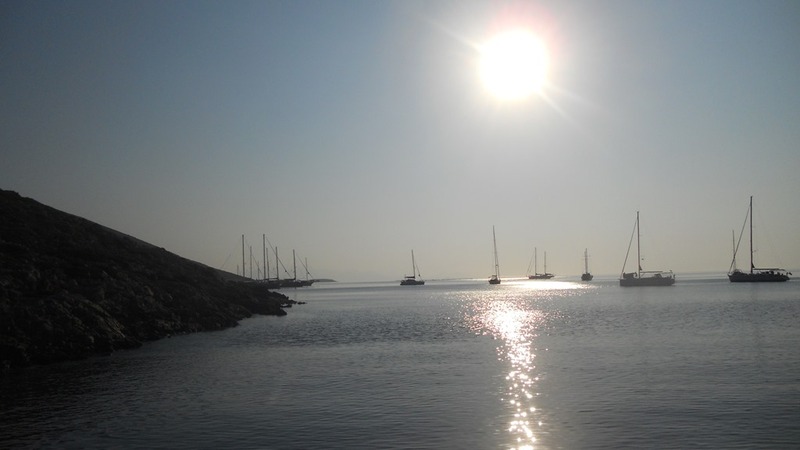 This year we were moored beside Toni, a Dutchman who was new to sailing and who had bought a boat in Turkey that he was familiarising himself with. He and Svein spent many hours going through the different items on board and checking out the different elements of the boat. 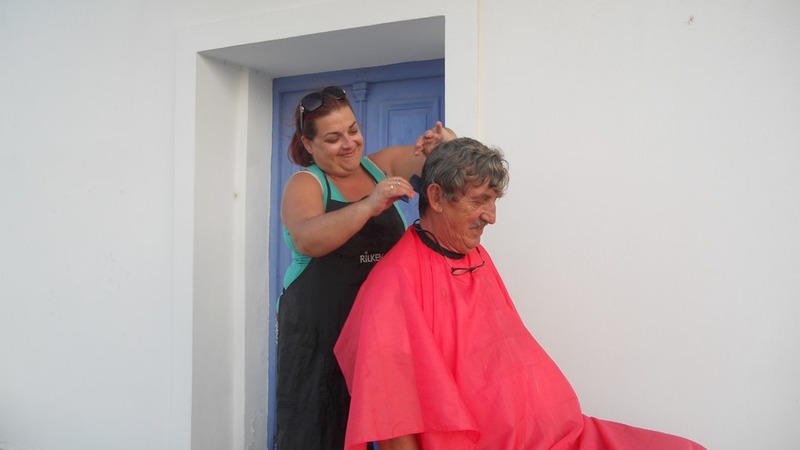 Toni was even given a haircut in the open one day. Before the meal Svein and I spent the day in Mandraki shopping and generally wandering through the streets. There is always something new to discover in this little town. It was soon time to leave as we needed to head further South. 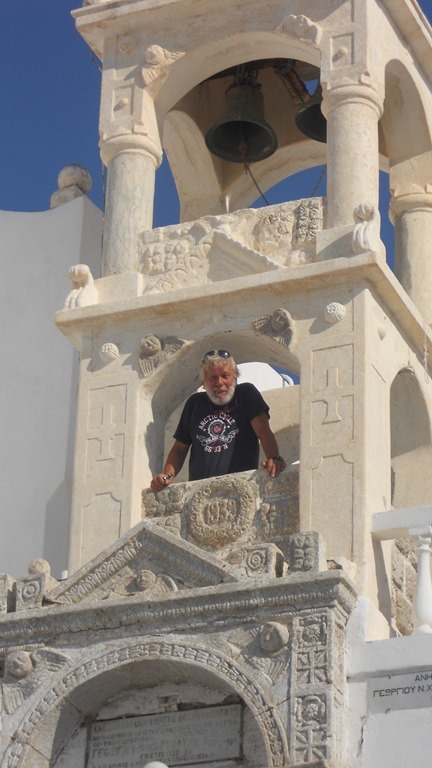 Our aim was the island of Rhodes where our friends Elly and Per were waiting for us. We left the harbour on a calm day but it was not to be so for long. 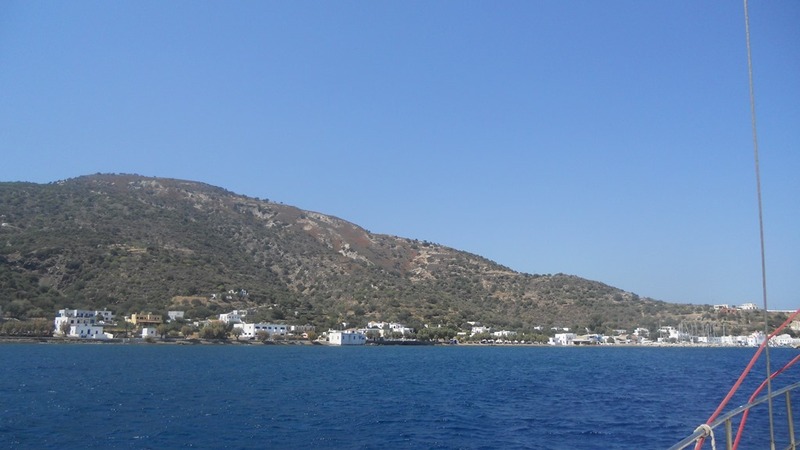 As we motored on the short journey to Tilos (a neighbouring island) we were thrown around by a very choppy sea and it felt as though we were in a washing machine. This caused a problem. Despite the fact that we had cleaned our fuel tanks 2 years previously there was obviously still some dirt in the tanks and this was churned up and started blocking the fuel line. 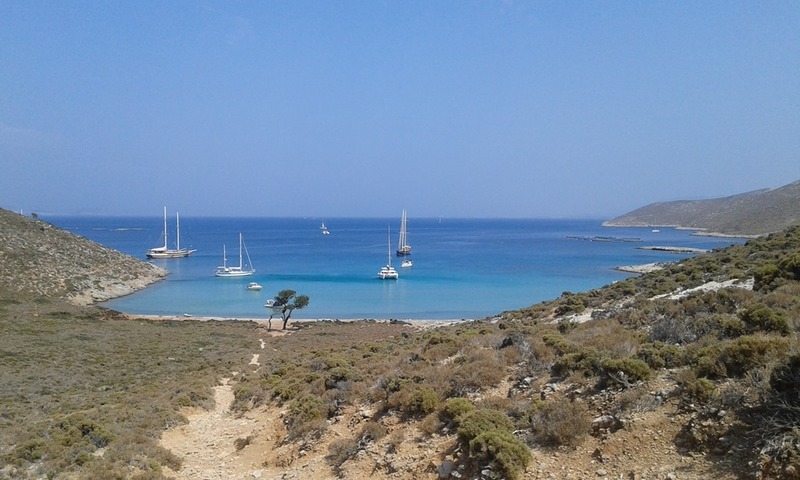 We limped into Tilos bay and dropped anchor. 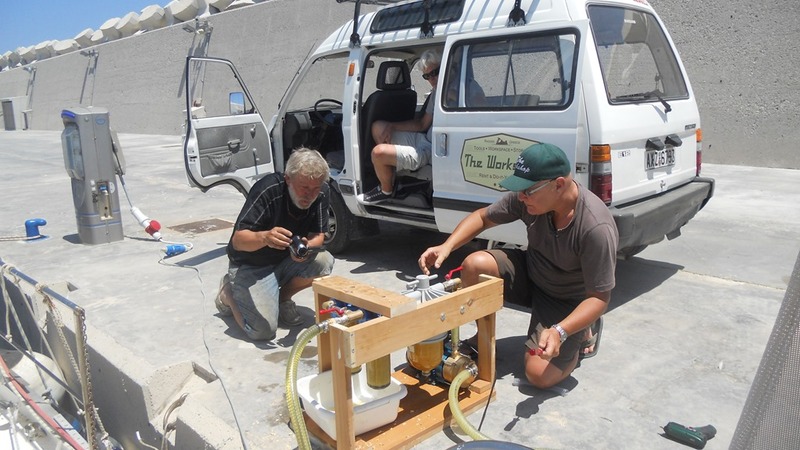 Svein changed the fuel filter and we decided to stay a couple of days so that the sediment had time to drop to the bottom of the tank again. 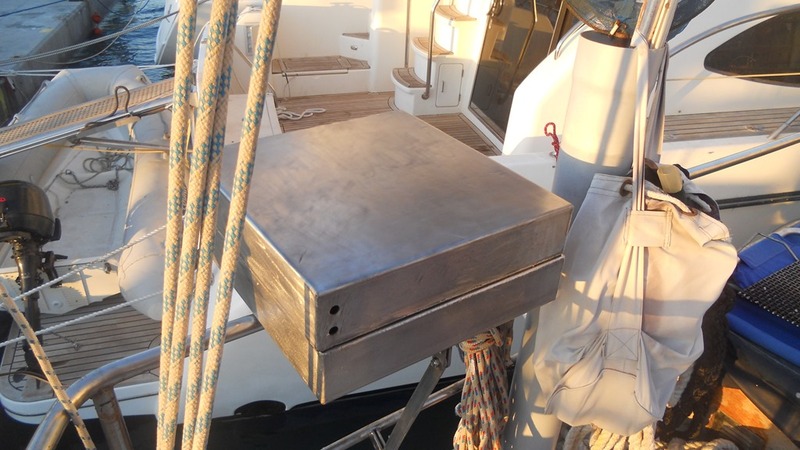 We took the time to swim from the boat several times a day and Svein also repaired the hatches to the front cabin and head that were both playing up. 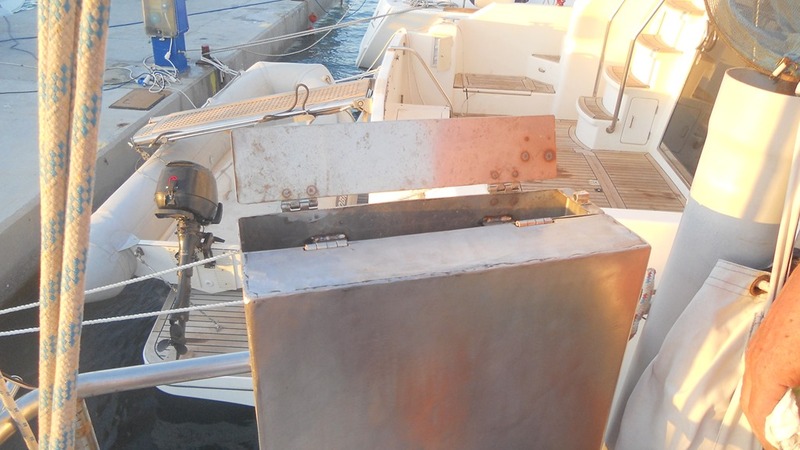 He also altered the dinghy hoisting system to make it a little easier to handle. 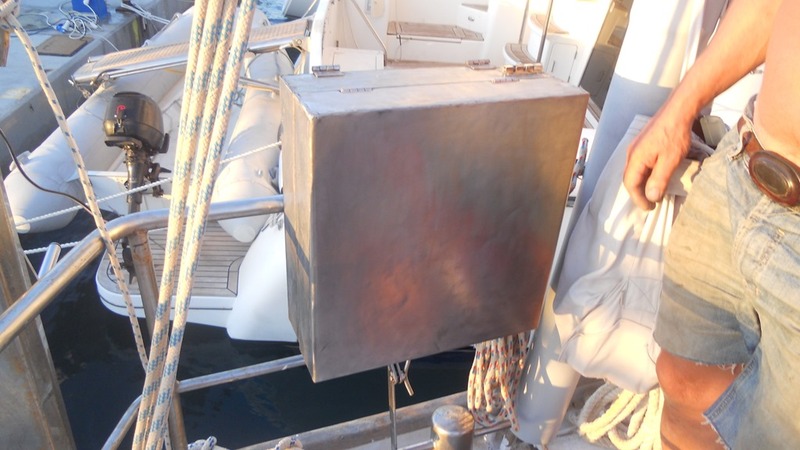 Svein also contacted Per in Rhodes to discuss the possibility of making a fuel polishing unit so that we could filter the fuel we had in our tank. 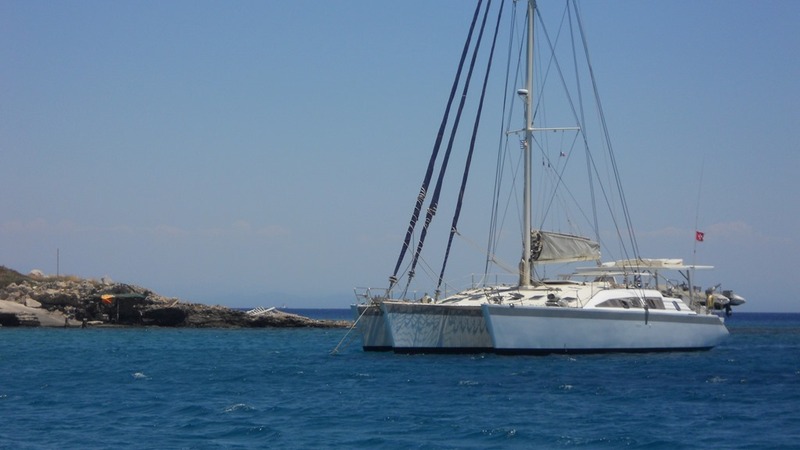 After a few days rest we again hoisted the anchor with the intention of heading to another of our favourite anchorages – the island of Alimnia situated between Chalki and Rhodes. However we started having trouble with our starter motor and on closer inspection we realised that it would have to be repaired. As we did not want to risk getting stuck in a deserted anchorage we changed our plans. In addition we were still having problems with the fuel supply to the engine so Svein rigged up a temporary solution and decided to head straight for Rhodes. 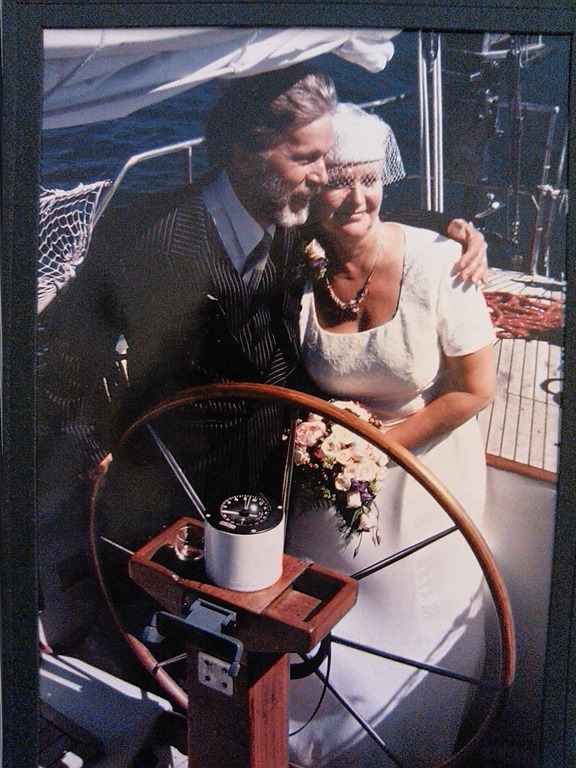 We even managed to unfurl the genoa for a time on this stage of the trip. After a fairly long journey we anchored outside the windmills of Rhodes harbour. We went into town and enjoyed an early dinner before settling in for the night. 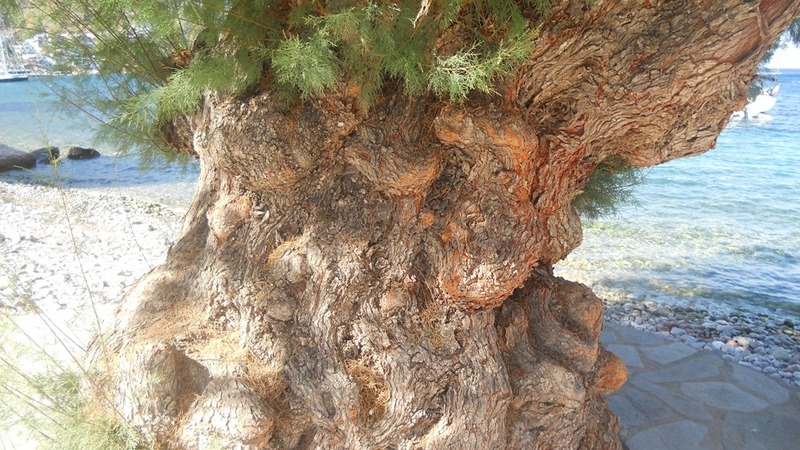 We were amazed by the change on the waterfront in Rhodes. 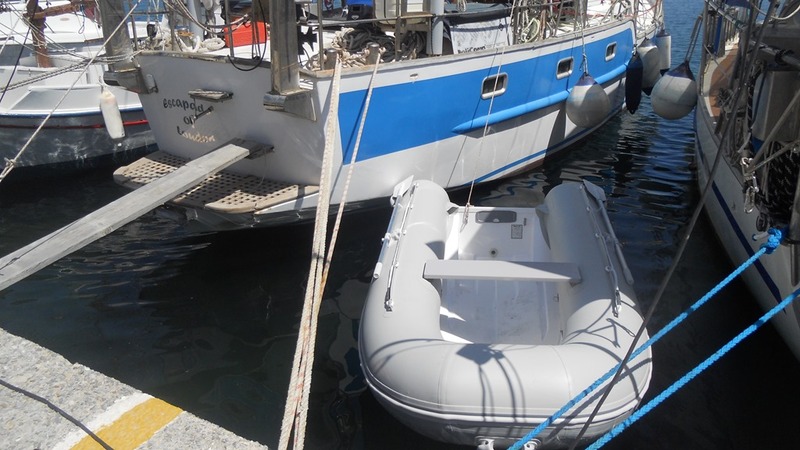 It was very difficult to find a spot to leave the dinghy as everywhere was filled with small boats or the water toys like bananas and rings that are pulled behind speed boats with people on board them. There seemed to be an inordinate number of tripper boats who were all selling their wares and consequently the pavements were heaving with people. We were glad to find the dinghy and get back to the calm of Escapade. However a calm night it was not to be. 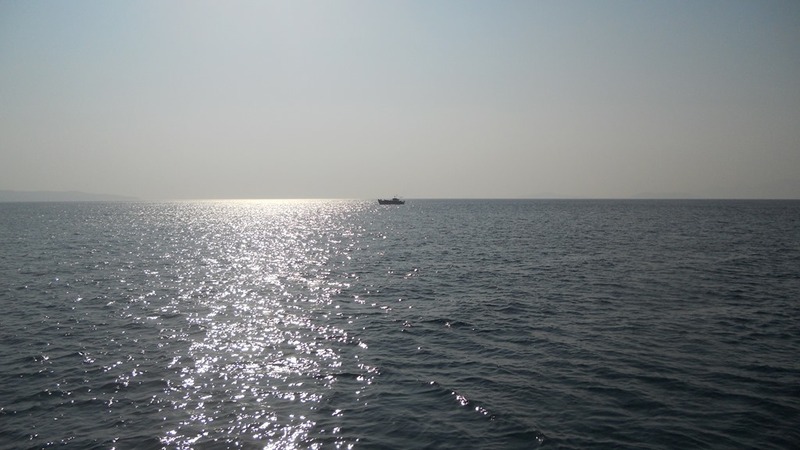 There was terrific swell at the anchorage so early the next morning we weighed anchor and headed round to Epidavros bay. Here although the wind blew the sea was calm and we could leave the dinghy at the fishermen’s quay. There was only one other boat moored in the bay (a catamaran that had been converted to a trimaran) and the beach was only used by locals. We did however see a number of swimmers far out from shore who regularly passed by us. We duly contacted our friends Elly and Per and Svein went to the workshop that Per has opened to organised the filter polishing unit and also to see where we could get the starter motor repaired. Caryn was on the boat enjoying the clear water and generally relaxing. 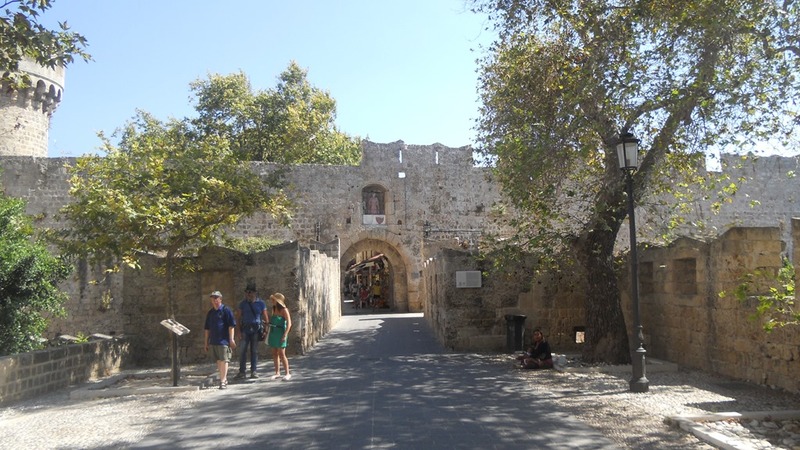 We needed to get into a quay and as it was impossible to stay in the harbour for more than 2 days we decided to go into the new Rhodes marina. Svein visited it and chose our mooring spot and after a couple of days at anchor we went into the marina and moored alongside. We were very fortunate that Per and Elly were able to lend us their car so we had a means of transport as the new marina is a little way out of town. 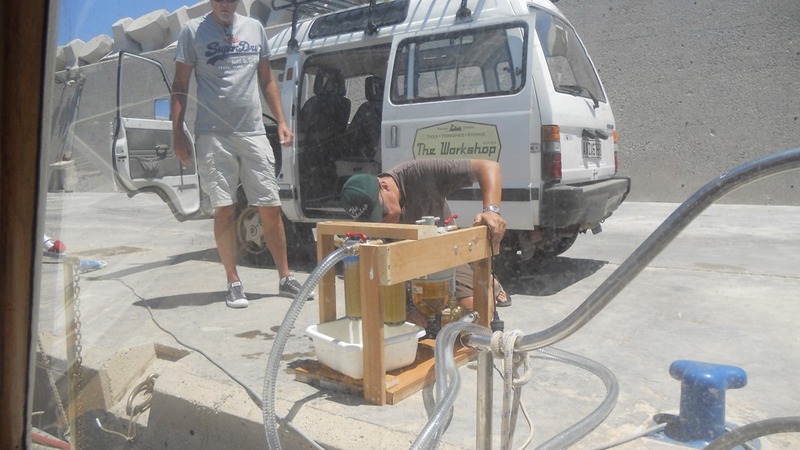 The good news was that the fuel polishing unit was eventually ready and brought to us so that we could test it and start the process of filtering our fuel. 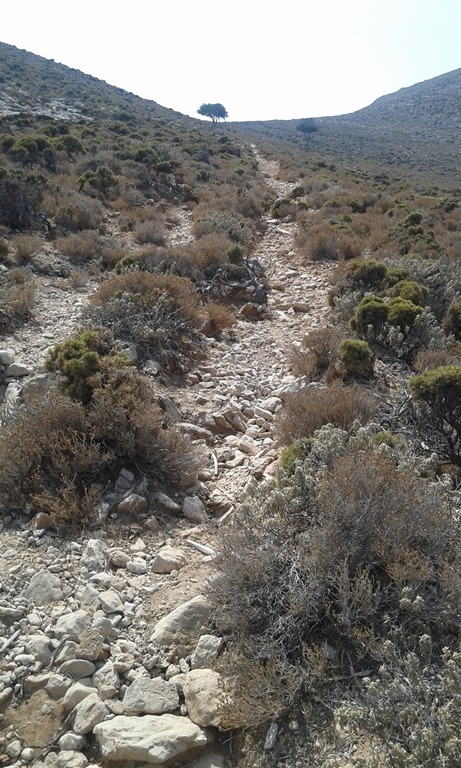 The bad news was that the starter motor could not be repaired on the island and we had to try and find a new one. 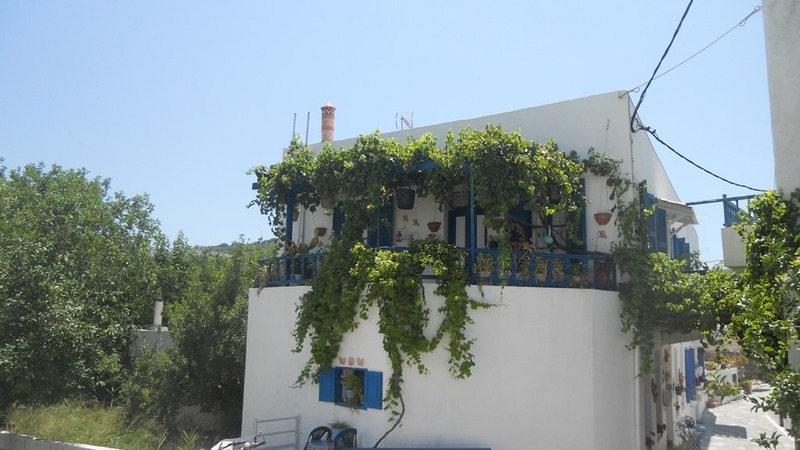 We eventually hit on the idea of contacting the mechanic in Kalamata who had helped us previously when we had had our problems two years ago. He came up trumps and managed to find a motor for us that was refurbished. 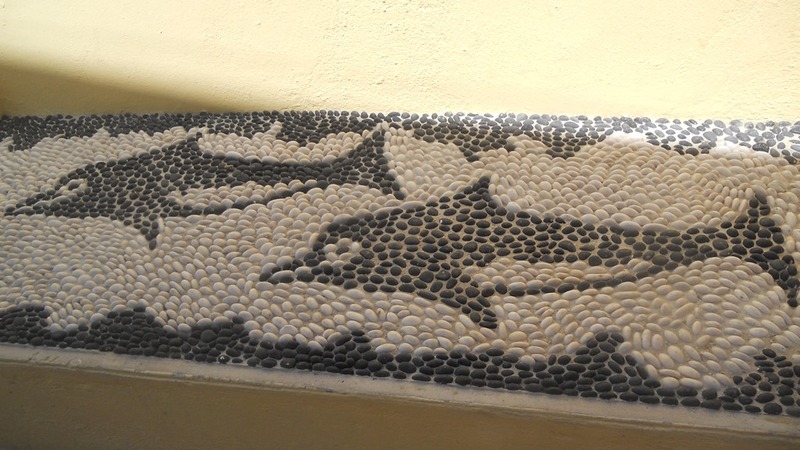 He duly arranged for it to be shipped to us in Rhodes and it arrived safely and was installed. Bingo we were mobile again. 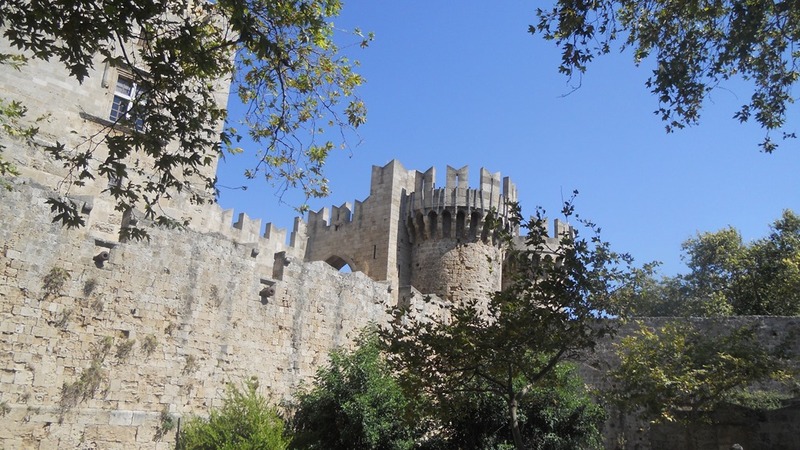 All this negotiating had taken quite a few days so Caryn kept busy by visiting Rhodes town with Elly and spending a little money. She managed to find all the Xmas presents for the family and in addition a few items for the house. There was also the usual manicure/pedicure and different excursions to shops for some suitable land clothing. This problem was solved by M&S who had just started their sale. This was interspersed with lunches and dinners at various restaurants and at Per and Elly’s house and of course a detailed visit to Elly’s newly opened boutique hotel . 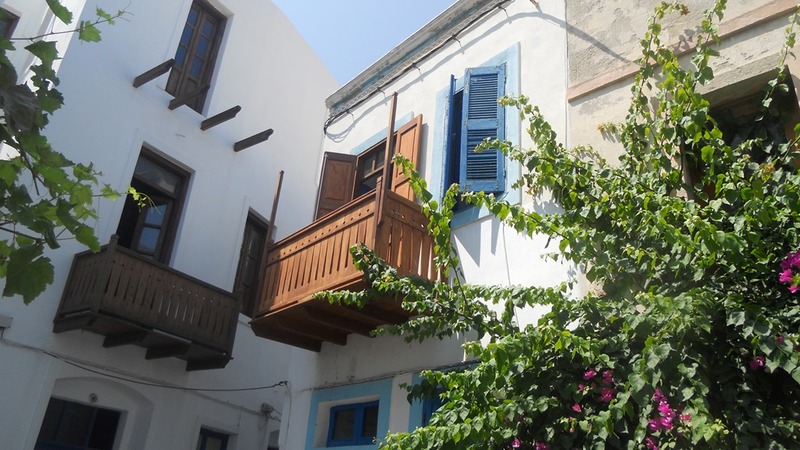 Hotel Ellique is in the old town and everything has been thought through to give her guests all the comforts. 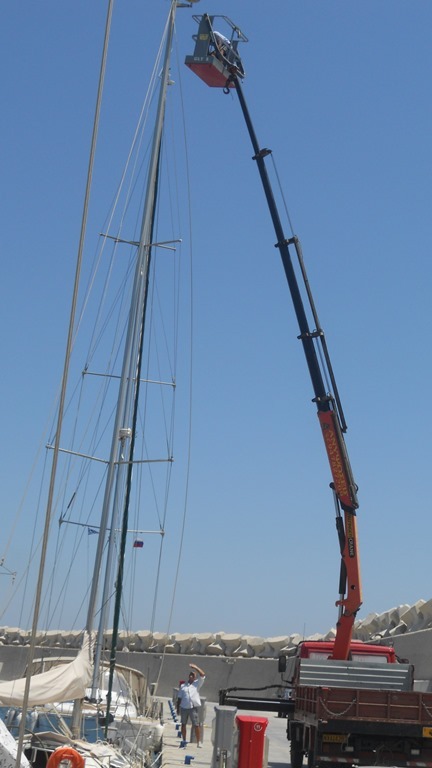 Whilst in the marina we saw a new way of climbing the mast to repair damaged equipment at the top. 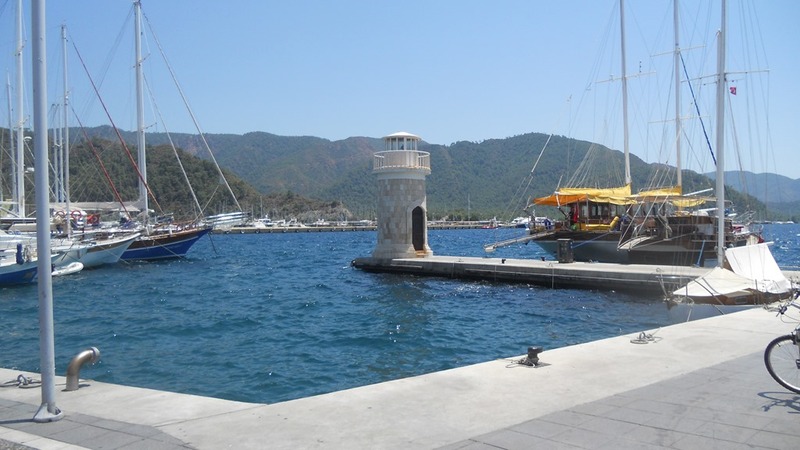 Caryn also took a day trip to Marmaris to purchase lamps for the new house. Here the lack of tourists was very visible with many of the big sailing gullets still at quay waiting for eventual clients. We also visited a new beach together with Per and Elly and some French friends of theirs where our feet were literally in the water as well as our sun loungers. 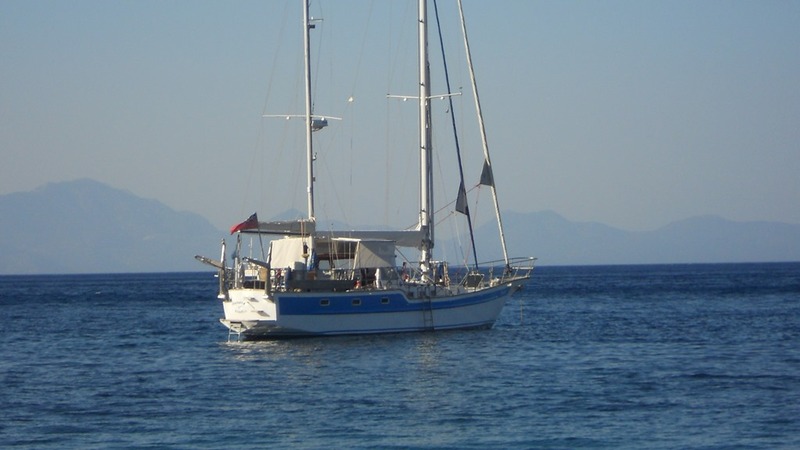 After 10 days in Rhodes and all our chores completed and the boat in working order again it was time to move on. 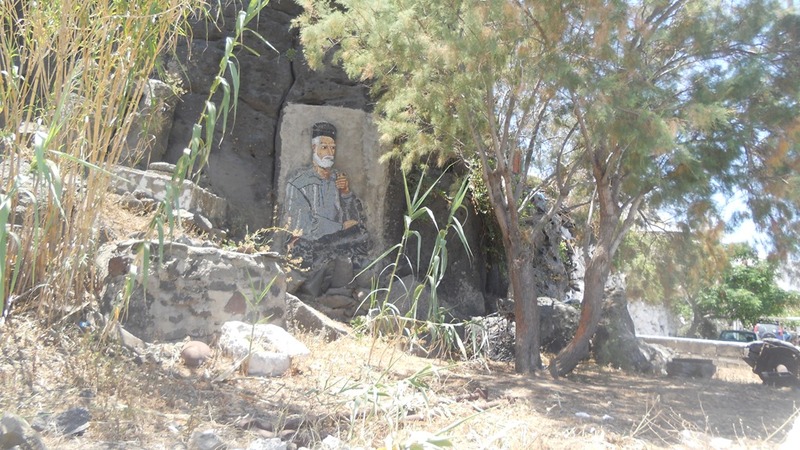 We left the marina and headed to Pedi bay on Symi island. 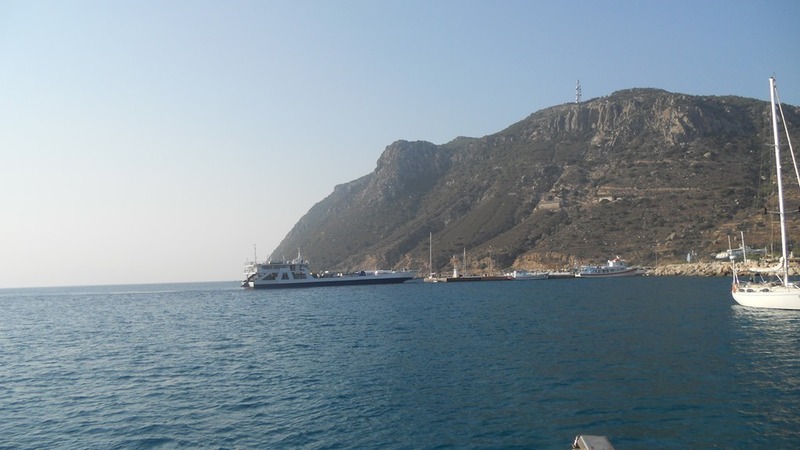 Here we also remarked on the general lack of sailing boats in the bay – something we had encountered on all our stops apparently not only Turkey is suffering from the lack of tourists this year. 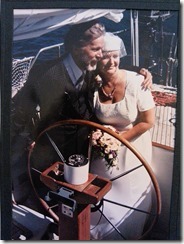 We anchored in the bay after an uneventful crossing under engine. 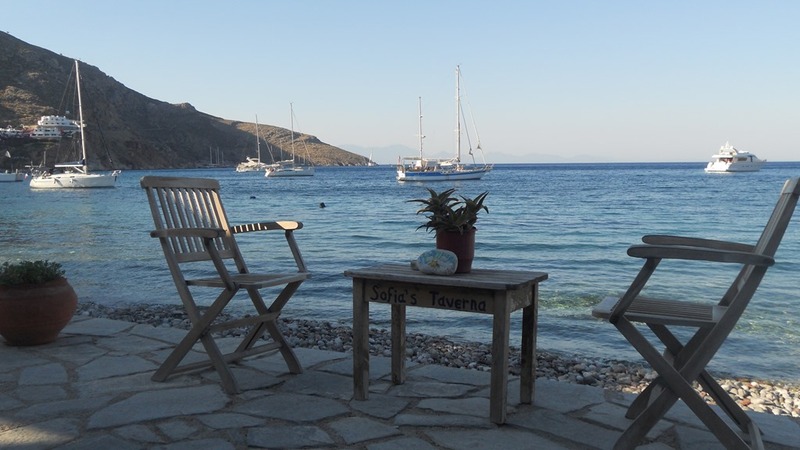 It was again time to move on so we left Pedi bay and headed once more for Tilos. 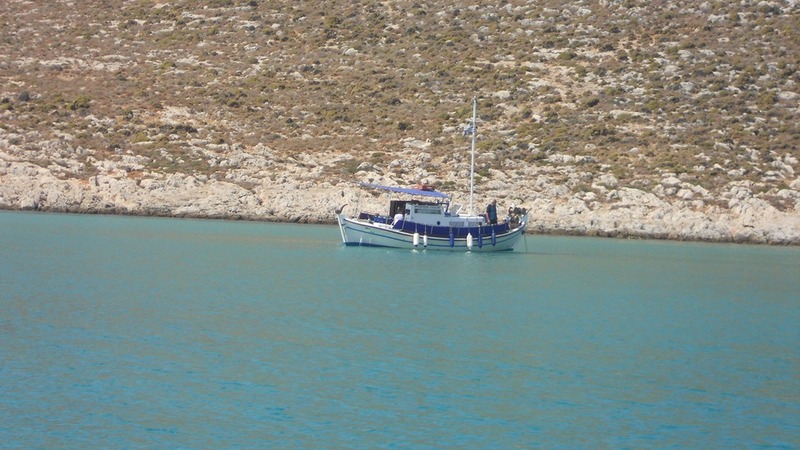 Again we motored all the way but had a pleasant crossing and were soon anchored off the church in clear blue waters. 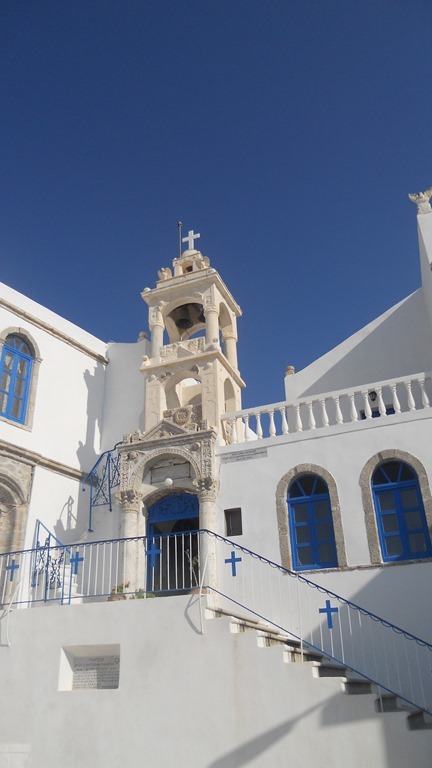 This time we stayed a few more days and enjoyed the island’s hospitality as well as the warm waters of the bay which were definitely needed as the temperatures had climbed considerably. 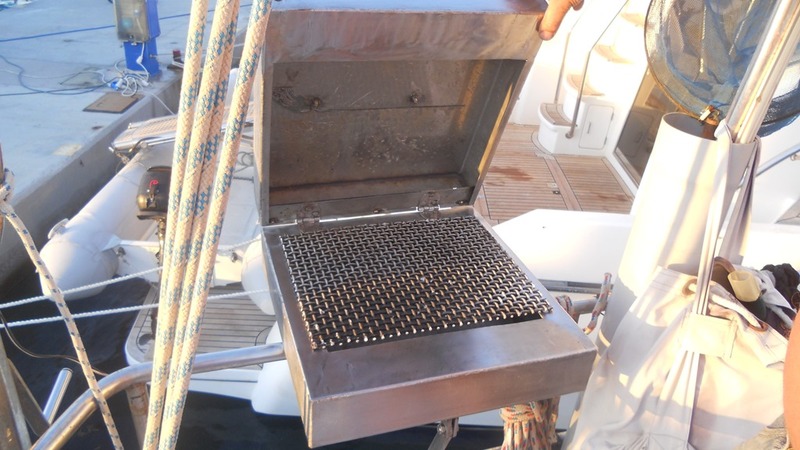 Svein did a lot of maintenance work servicing the outboard engine, working on the toe rail, replacing fixtures on the port mizzen stay. We also joined by Richard and Philippa after a couple of days who had also sailed up from Pedi. 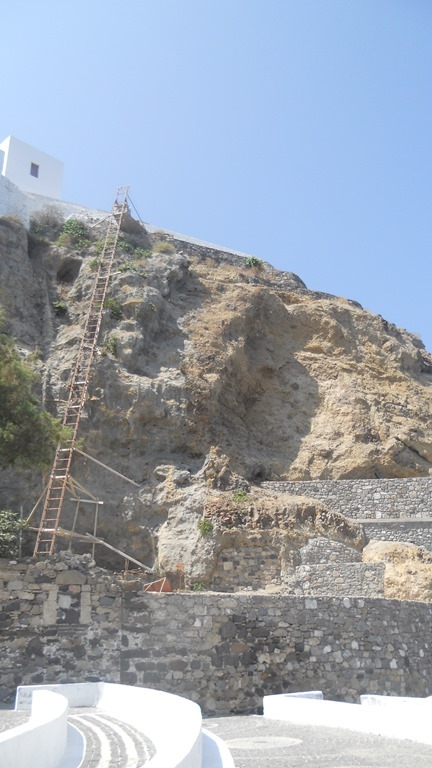 We needed to move North again so we left the bay and headed once more for Nisyros. This time however we had a smooth run and were soon moored once more at the quay. After a couple of days we were once again joined by Adventuress and as they did not know the island we hired a car and drove them to all the known and a few unknown spots. 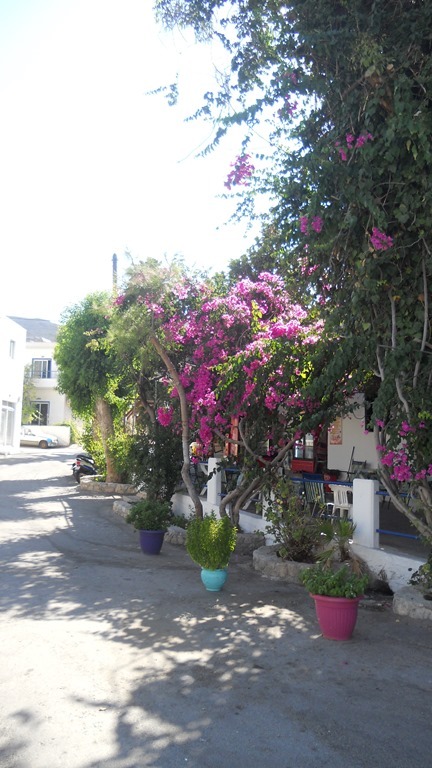 By now we were late July and it was really time to head further North in order to be back in Kos marina for mid August. 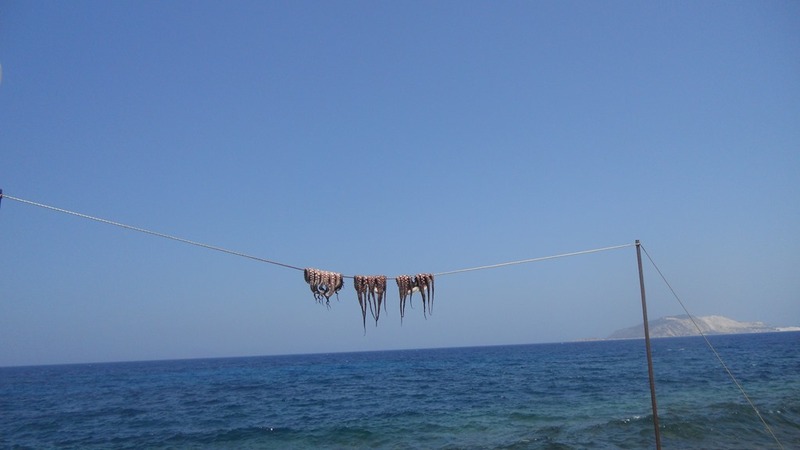 We left everyone in Nisyros and made the short crossing to the bay of Kefalos on the South West point of Kos island. Here we again anchored in clear blue water and enjoyed the full benefits of being able to swim from the back of the boat. Again Svein had found some maintenance to do and this had to be done whilst out of the marina as he needed access to the hull to treat the rust spots and touch up the paint. An impossibility in the marina where we have boats on both sides of us. There was too much swell in the bay to enable Svein to do the work to his standard so we left the bay and started heading North. 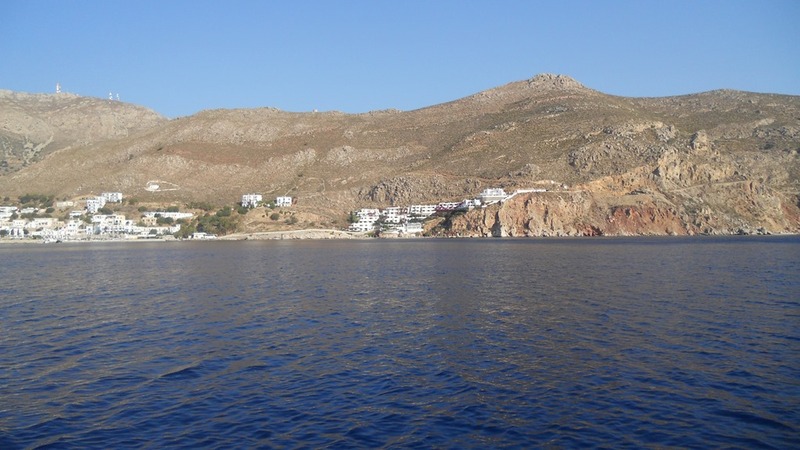 Our initial destination was to be Emporio bay on the West coast of Kalymnos but once we rounded the head and started heading North we were in very choppy seas with a strong head wind making the ride very uncomfortable so we changed course and sailed between Kalynmos and Kos and headed for the island of Pserimos. We tried to get into their little harbour but it was full so we rounded the island and entered the large protected bay on the East coast. Here we moored and took lines ashore (Turkish style) as it would make the boat more stable for the painting. 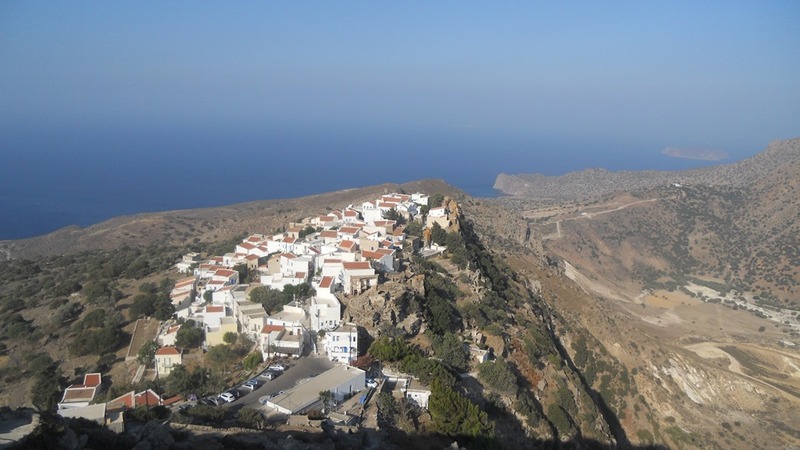 We had done very little food shopping over the summer as we have been mainly eating out but as our departure from Kefalos was a sudden decision and there is nothing in the bay on Pserimos Svein very gallantly decided to walk to the little harbour over the hill. 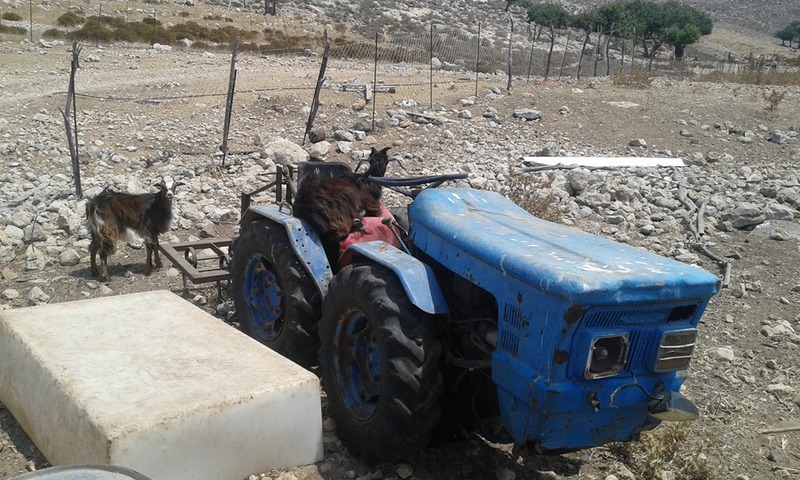 This trip consisted of negotiating a goat track up to the top of the hill then down the other side and finally walking past the olive grove until he reached the little village – all in all a trip of over an hour each way in very hot temperatures. He successfully completed the mission but had to buy meat from the restaurant and there was none sold in the small shop. 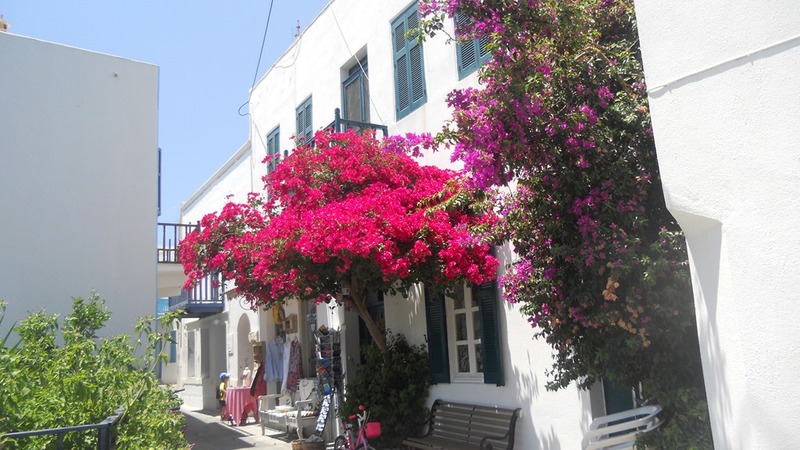 The island is very dependent on supplies the nearby island of Kalymnos and those coming in go the the private households and there are few tourists (only day trippers). His purchases enabled us to have a Norwegian stew and an Indian curry which supplemented the other food that was on board. The first night we dined on Confit de Canard! (duck). 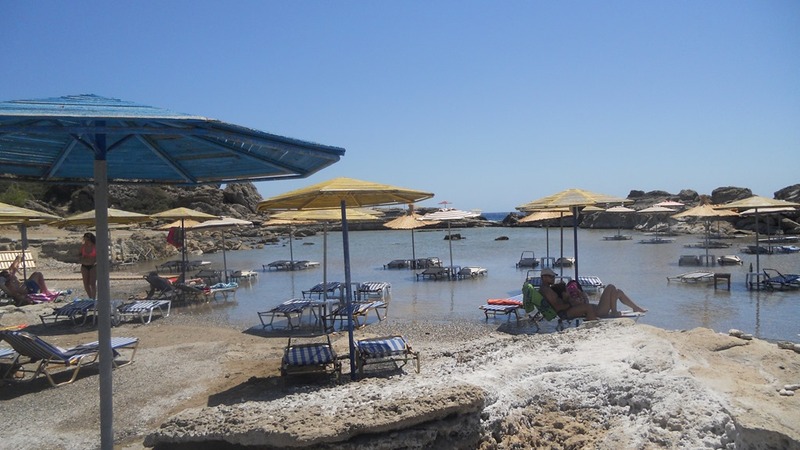 The bay is extremely popular with sailors either coming over from nearby Turkey or for boats out for a day and of course the tripper boats who stop for an hour so that their passengers can take a swim in the crystal clear water. There were a number of Italian boats and we also saw a few charter boats either staying in the bay at the beginning or end of their week’s sailing. With the chores finished it was now time to return to Kos marina and begin the job of packing up the items that would be returning to France with us. 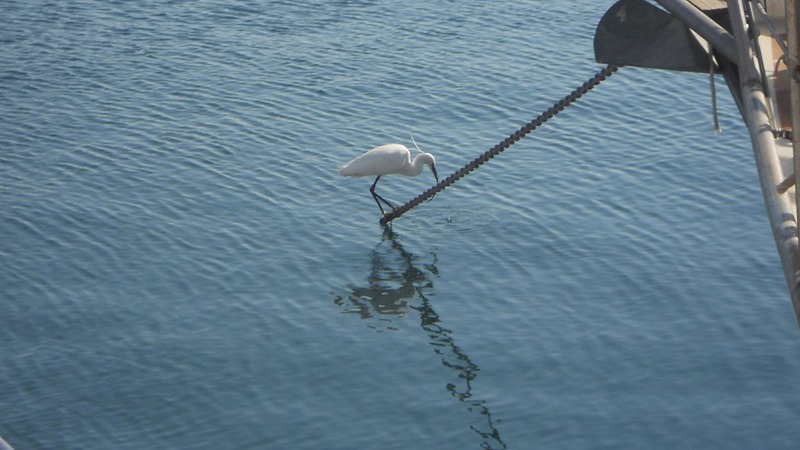 We duly left the bay and motored in calm seas to the marina where we were berthed on Pontoon B. 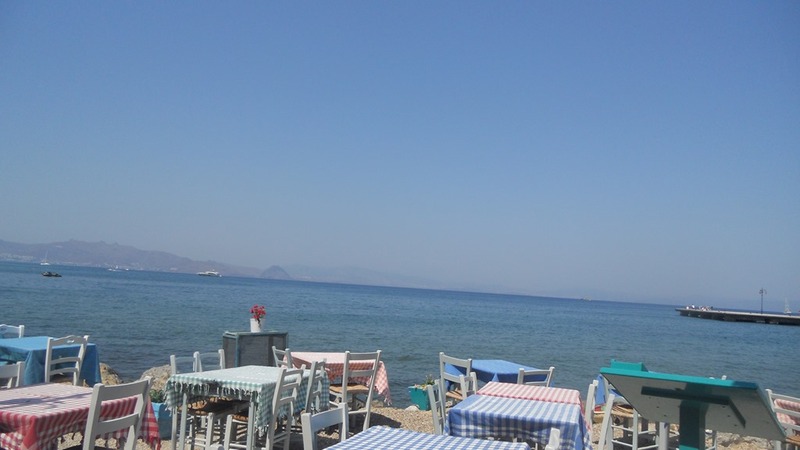 We celebrated out return by having dinner at Kalymnos restaurant which is on the seafront. Since our return Svein has made and installed a BBQ and has also sanded and varnished the wooden cover for the generator. He has also checked out the generator that gave us a little problem whilst at anchorage. Caryn had packed up the belongings and they are all now in the car waiting for our departure. In between we have tried to follow the Olympics but it is not easy as the marina wifi is out of action. 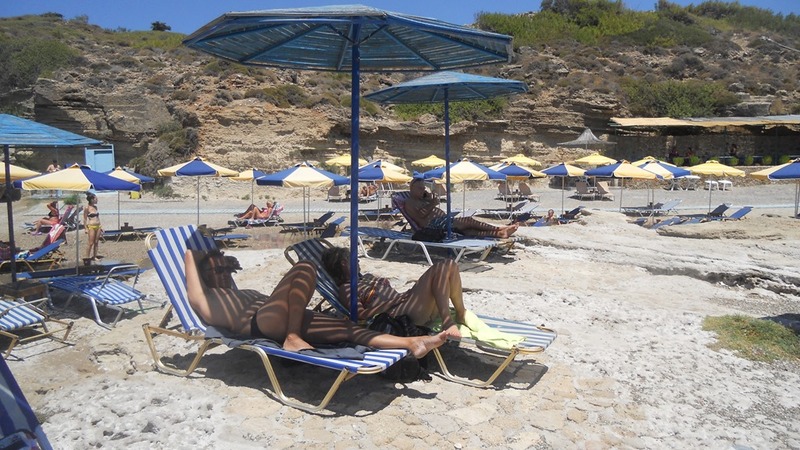 We have also seen old friends who have been through Kos as well as those who have annual contracts here. 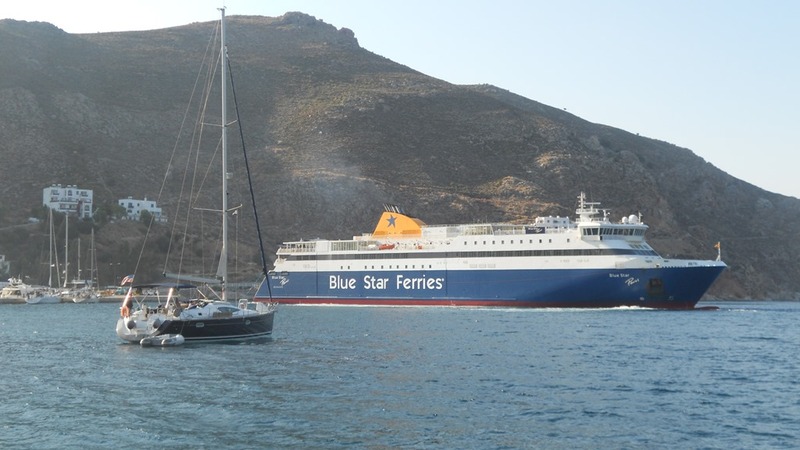 We are now ready to start our new adventure which will start on 21st August when we take the ferry from Kos to Piraeus. 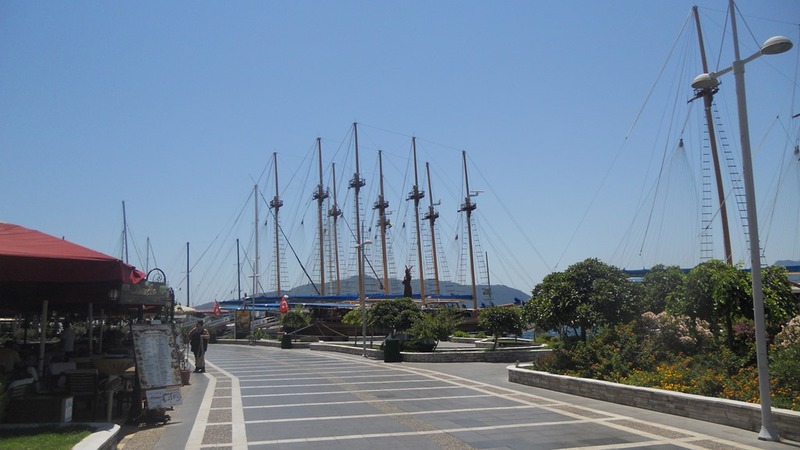 We then drive to Patras and take a ferry to Ancona before starting the long drive to Caryn’s aunt where we will be based until the house is ready. Plans are that the family Christmas meal will be in the new house and Caryn’s sister and nephew are coming from the States to join the festivities. 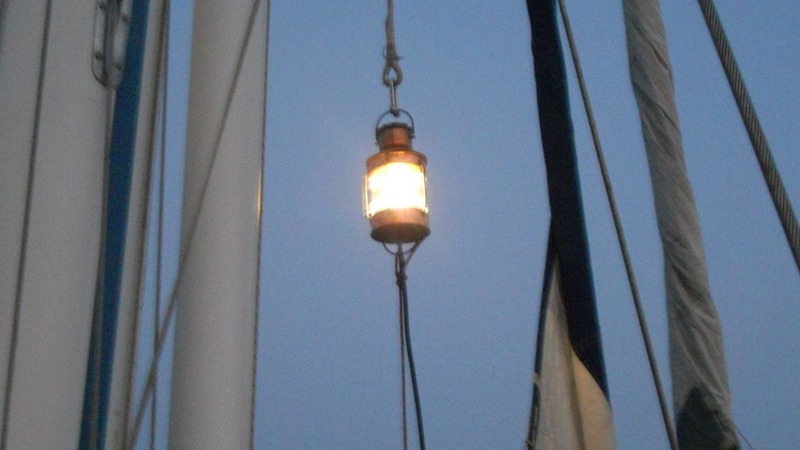 We will be returning to Escapade in the Spring for another season of sailing but we will continue the blog with the story of the renovation of the house.